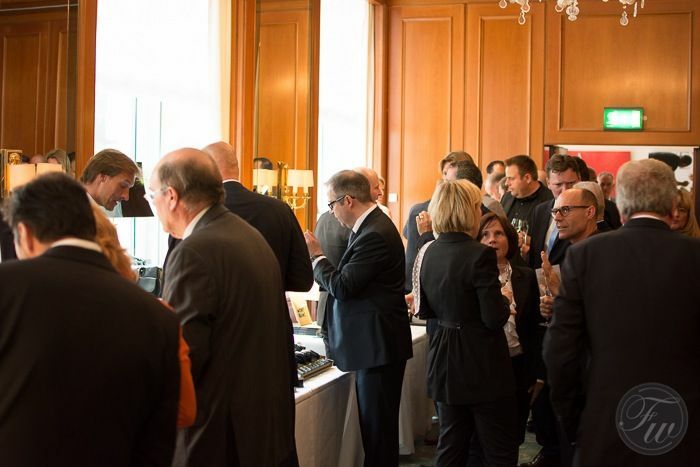 As you probably know, it isn’t easy to travel to Basel each year and visit the Baselworld exhibition if you aren’t press or professionally occupied in the watch industry. As a private person, it is possible to just buy a ticket to the show, but not everyone is able or willingly to take up the tab for just a few days of watch fun. SIHH is even a bit tougher! They only invite press and industry people to Geneva each year. Ebner Verlag, the publisher’s house of quality magazines like Chronos, Uhren Magazine and WatchTime came up with a solution for that. 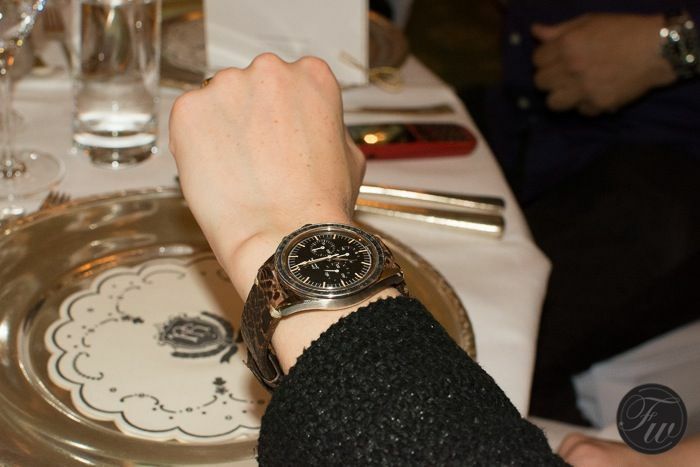 They started hosting dinner shows to make sure that you – the consumer – is also able to see, touch and admire the latest watches from Geneva and Basel. 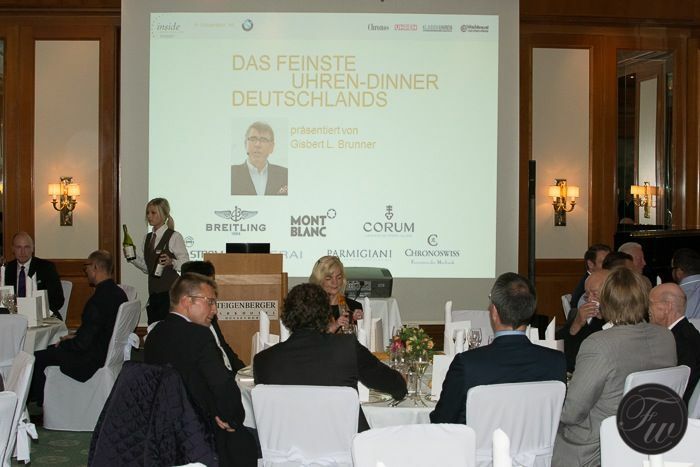 Ebner has been doing this since years in the United States, but since 2012 also started doing these watch-filled evenings in Germany. 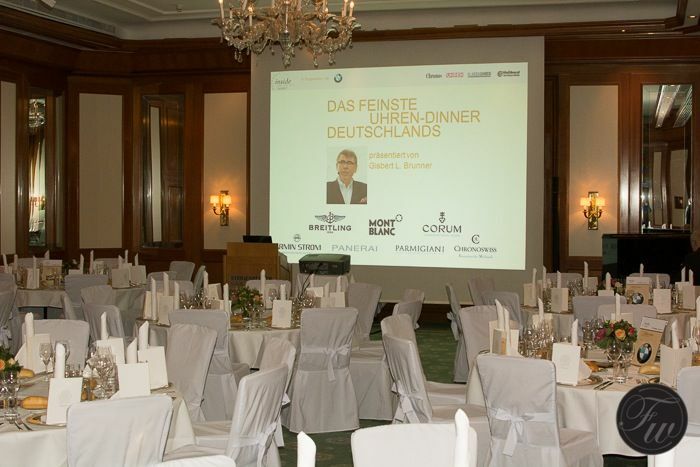 Five evenings in Germany, in different cities, are fully sold out to watch connoisseurs and enthusiasts from Europe (and who are able to understand German). 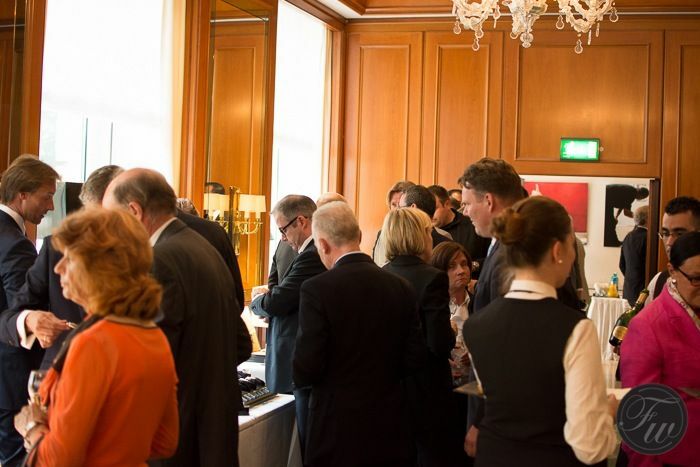 Several brands officially sponsor the show and are presenting their latest collections to visitors of the IBG event. The watches are not on display or behind glass. You can actually pick them up, try them and admire them. A large part of the event is being talked-through by no-one else than watch journalist Gisbert L. Brunner. A long time collector who has written over 20 books on watches. 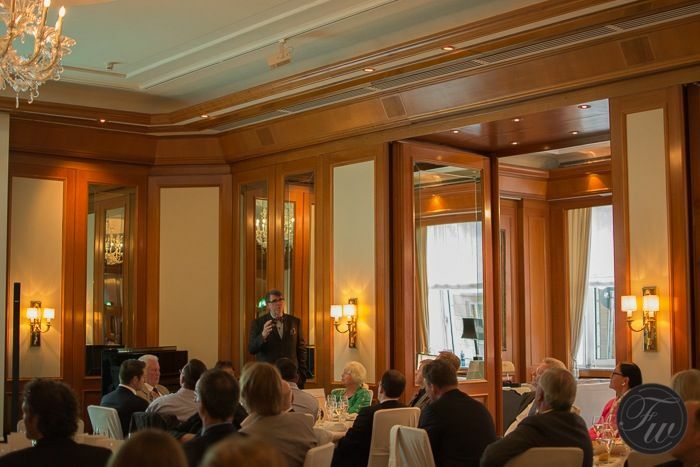 He uses his experience and own anecdotes to tell about brands and watches. He told us during the short introduction that it all started for him with a Heuer Carrera when he was 17 years old. Since then, he collected well over 800 watches (and sold a large part of it eventually again) and seems to know quite a bit about each brand that is out there. A true passionate at work. Besides showing the latest watches, Gisbert L Brunner also takes the time to explain the inner workings of certain watches or zooms in on specific mechanical solutions. 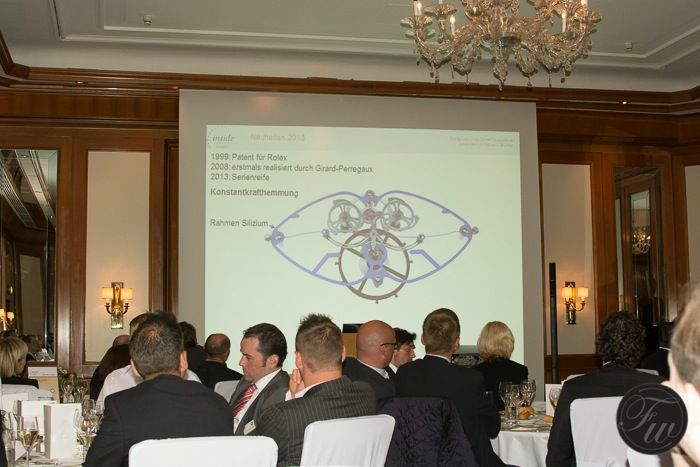 For instance, the Girard-Perregaux constant force escapement was explained to the visitors in detail – but understandable manner. 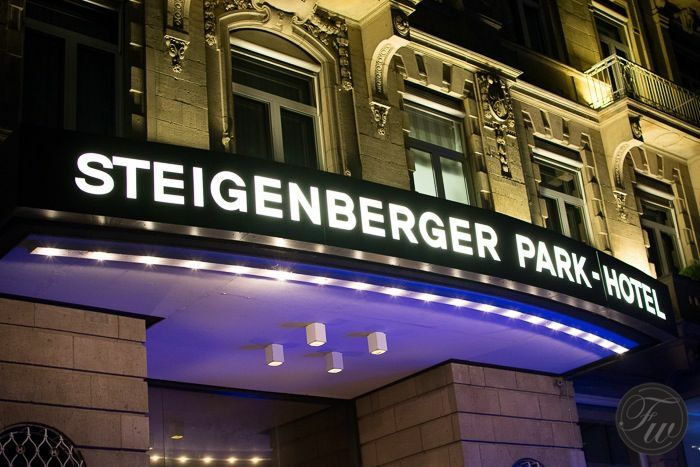 The IBG 2013 that I attended was hosted in Dusseldorf’s finest hotel, the Steigenberger. 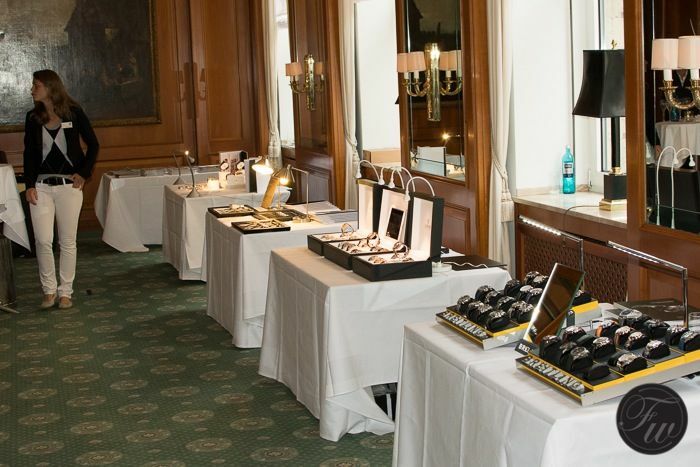 An impressive setting for an impressive evening with watch brands, fellow-enthusiasts and collectors. The food & wines were marvellous and carefully selected. Although it was a 2.5 hour drive (and back), it was definitely worth it. Make sure that you attend one of these shows next year as well!